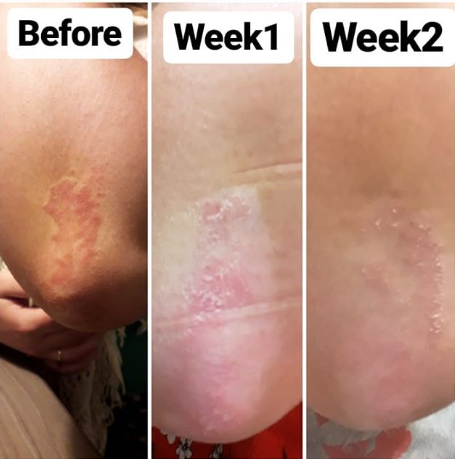 @Lindi_C_Mua has taken part in a months trial with Meaghers Pharmacy to see if taking Cellnutrition Quinton’s products will help to ease her psoriasis. She takes to Instagram to document her journey using Cellnutrition. Lindi has struggled with psoriasis for nearly 7 years, since she was 7 months pregnant with her daughter. For the last few weeks she has been using our Quinton Isotonic and Quinton Dermo Spray daily. She begins her story after 4 days of using Cellnutrition Quinton. She said ‘so far it’s going really really well’. Her psoriasis has gone down dramatically. The discolouration has nearly gone completely from my psoriasis and it’s going great. Since she got psoriasis 7 years ago, she has tried every lotion, potion, steroid creams and tablets on the market. 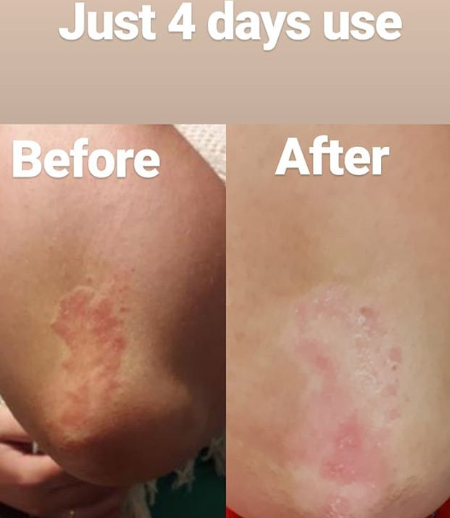 From doctors to dermatologists you name it and for the first time in 7 years where her psoriasis patches are now smooth. Anyone who struggles with psoriasis knows that there’s a texture, lumps, cracks, dry skin and flaking on the affected area but she describes how now, for the first time she has felt liberated. Lindi has been using the Dermo Spray on her face as she usually has a dry patch underneath her eye with normally she covers with camouflage make up. Alongside these fabulous results, Lindi has noticed a difference in her energy levels. As she is anaemic and has 5 young children to look after she is constantly tired but since taking Quinton has noticed that it has really increased her energy which she didn’t expect. By nearly the end of week 2 she said ‘so far it’s blown me away, the products have reformed my skin which is now about 80% clear now which is essentially a dry patch but everything else has gone. Head over to @lindi_C_mua – https://www.instagram.com/lindi_mua to hear here full story and before and after pictures.